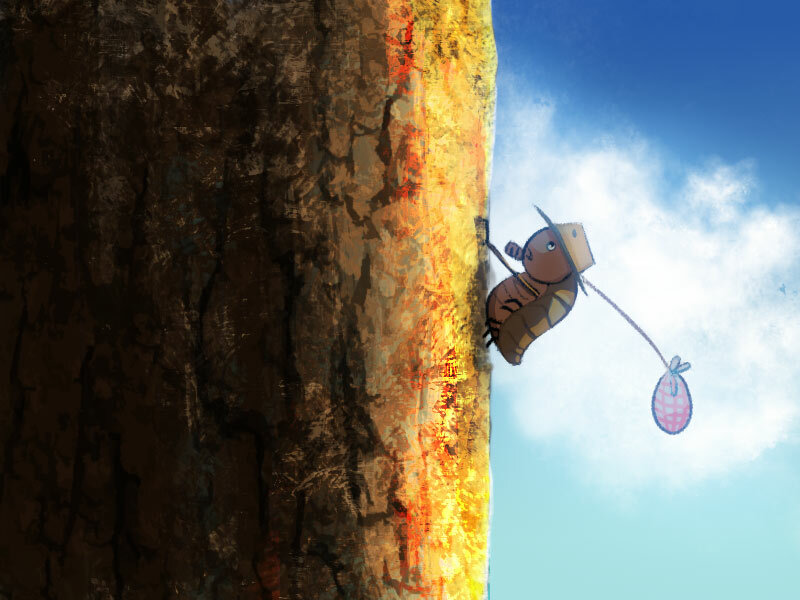 Montgomery is a peculiar fellow...um...bug with a real penchant for adventure. 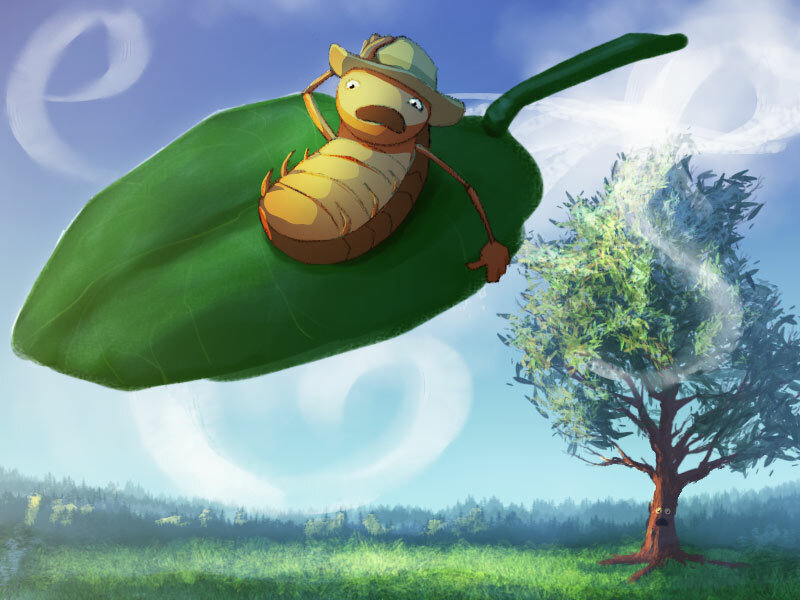 One day, he wondered...if he were to jump on a loosely attached leaf, high up in a tree, would he be able to float on it? This fanciful thought of floating through the summer sky permeated Monty's little bug brain until he simply had to - - try it. One day, Monty carefully climbed up Bradley's bark (Bradley was the tallest tree Monty knew. Well...actually the only tree Monty knew.) until he reached the tipity top of Bradley's highest branches. As Monty gathered his courage, he stepped out on a rickety leaf that was nearly the size of a boat! (Well, the size of a boat if you were an Armadillo bug - - that is in relation to a human…but…never mind, you get the picture.) Monty gathered up his courage and carefully inched out onto the leaf. With a rustle of the wind, the weak leaf dislodged from Bradley's aged branches and Monty was off! The wind kicked up and carried Monty off into the distance! Monty was scared. As the leaf flew further and further away from Monty's familiar home, he began to worry. How would he get back to Bradley? How would he make his way home? He soon regretted his careless actions and wished he had never given credence to this crazy fantasy. After what seemed like an hour of flight, the wind began to die down and it carefully carried Monty's leaf to an unfamiliar area. As the leaf gently drifted downward, it came to rest atop a strange new tree. A tree much different from Bradley. In fact, this new tree was much taller and fuller than Bradley - - and totally foreign to Monty. Again, Monty was scared. He looked around and figured that if he could somehow get down this new tree, he just might be able to find his way home. Relying on his instincts and his ability to roll into a tight, impenetrable ball (Monty thinks he's invincible and super powerful in ball form.) 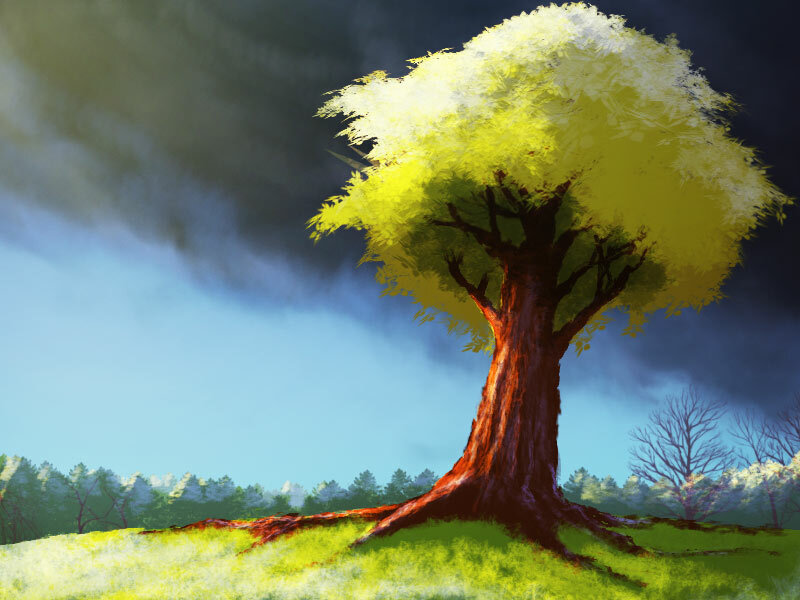 he looked down the towering tree and took a leap of faith! As Monty made his way down this strange, new, tree he eventually came to the realization that he was lost. After taking a breather from bouncing downward, he composed himself and resigned himself to the fact that his fanciful trip through the sky - might not have been a good idea after all. A small wave of sadness swelled through Monty's little body. But don't feel sad for Monty. He's tough! After all, he...is... an Armadillo bug. He's tougher than most bugs and there's nothing he can't accomplish if he rolls into a ball. Determined to get back home, Monty surveyed his surroundings and made a brave decision. He decided to bounce his way back to Bradley, no matter how long it took or how dangerous it might have been. He rolled into a tight ball again and with all his might, he took a leaping bounce off a tree branch. This time Monty was confident and ready to face any obstacle in his way! As Monty bounced down the tree, he quickly switched back-and-forth between layers upon layers of leaves and branches. It was a sight to behold! Monty’s little curled up body just sprang from side-to-side as though he were the ball in a nature made pinball machine. Monty kinda liked it! Although this playful mode of travel seemed to be a promising way for Monty to get back home, he soon realized a couple of potential issues. The first being, that he could not actually see where he was going, as he bounced his way across this forest of trees. Secondly, there were lots of spiders (scary spiders) and their webs were, just waiting to capture him as prey. Monty paused on a low branch and considered his options. Could he go on blindly bouncing his way home? Or would he have to devise a more sensible plan to get back to Bradley?